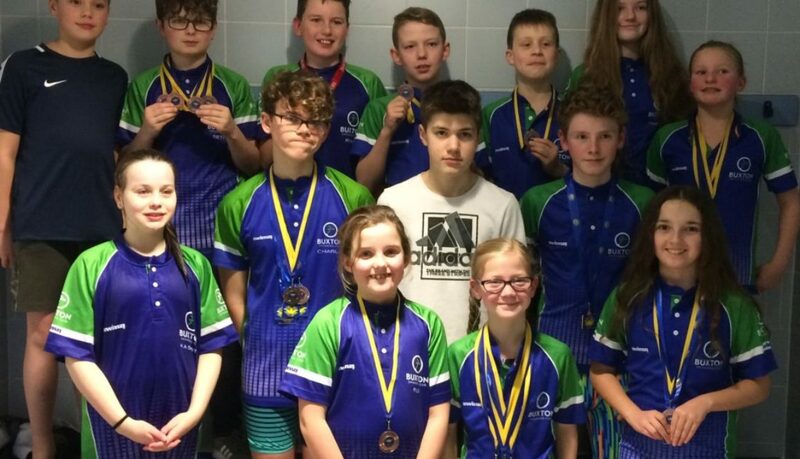 Buxton Swimming Squad swam into action at the Ripley Rascals 46th Anniversary Open Meet in Matlock on the 5th and 6th January 2019. 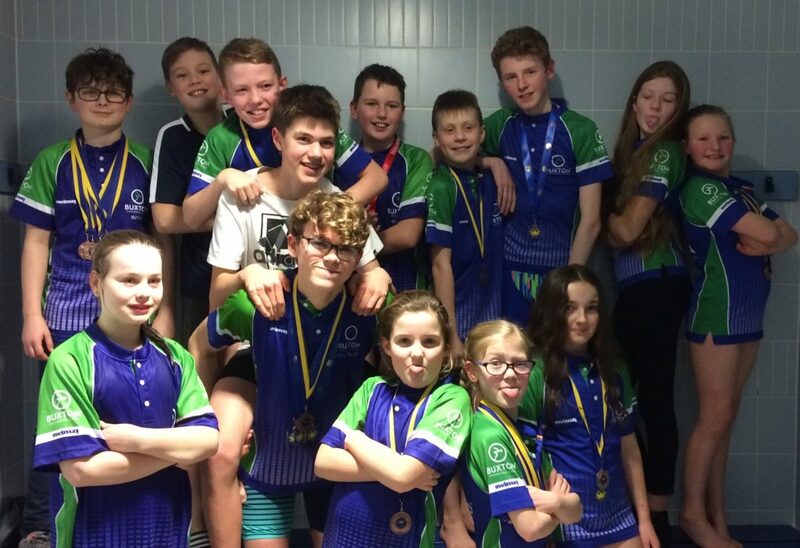 Ripley Rascals saw one of the biggest teams Buxton has taken to a gala in recent years, with 34 swimmers ageing from 9 to 22. It was the last chance for qualification times for the Derbyshire County Championships, so the expectation and anticipation was high! Buxton gave an impressive performance against some strong competition and came away with a stack of medals with Personnel Bests (PB’s) being smashed out of the water! We had 20 new qualifying times, 16 medal winners and around 80% of the swims resulted in PB’s, a truly amazing performance from all the swimmers. Assistant Head Coach Andrew Stokes said “we’ve been working really hard towards the counties this year and we got some amazing swims at Ripley. 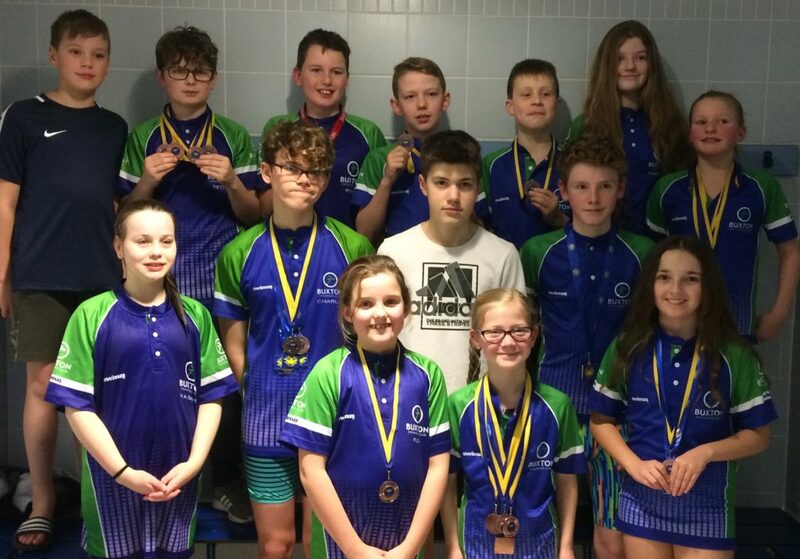 It’s not fair to single people out but is safe to say we are immensely proud of the swimmers and thank them for all their hard work which has paid off.” Buxton now has the highest number of qualifiers for the Derbyshire County Championships for a long time with 29 swimmers achieving qualification times. Charlie Boam, Callum Jelleyman, Chloe Montgomery White, Matthew Foreman, Mia Stokes, James Ralph, Ryan Cornish, Flow Harris Wood, Oliver Ecob, Louis Ecob, Ellenor Turner, Hamish Thompson, Seth Partridge, Olivia Pope, Euan Freeman and Boris Holliday. It was an exciting weekend full of team spirit and a great way to start 2019! 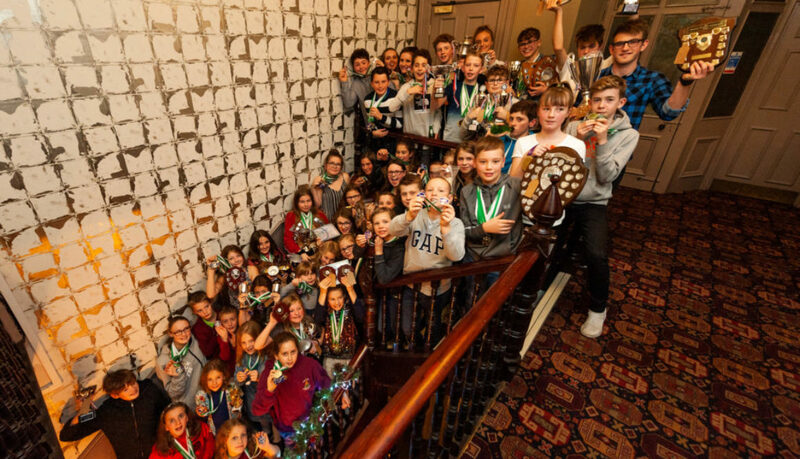 Great fun was had by all at Buxton Swimming Club’s annual Presentation Night at the Old Club House last Saturday. 2018 has been an outstanding year for the club following the appointment of Liam McWee as Head Coach and Verity Mycock as Lessons Coordinator. 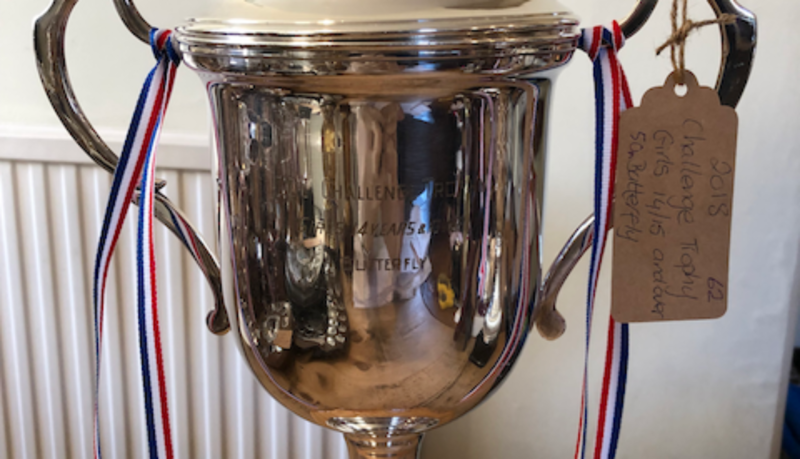 Successes include the winning of the Crusader division with the club moving up a division next year, record numbers of swimmers turning out for open meets and 11 new club records from Charlie Boam, Eleanor Turner and Louis & Oliver Ecob. Hundreds of medals and 70+ trophies were given out to all ages from 7 years upwards. Top Boy and Top Girl of the Club Championships were named as Mathew Foreman & Chloe Montgomery-White, with 8 gold medals going to Chloe Montgomery White, Isobel Stokes and Mia Stokes & 7 going to Charlie Boam & Mathew Foreman. Top Boy and Top Girl of the Novice Gala were Daniel Fitzgerald and Anwen Williams with Annabelle Montgomery-White picking up the Endeavour award. Trophies were presented by Paralympian Track Cyclist Anthony Kappes MBE, who brought his medals from London & Beijing to show to the swimmers. The swimmers let their hair down on the dance floor and showed their team spirit in the annual ‘Human Pyramid’ competition, with the girls once again showing the boys a thing or two. The boys got their own back on the karaoke however, thanks to Finn Hornsey-Saunders fabulous rendition of George Ezra’s ‘Budapest’. A massive thank you goes to both Anthony Kappes for presenting and to Mo El-Fatih, who took some fantastic photographs on the night.